The College of Design, Construction and Planning of University of Florida, together with Flagler College in St. Augustine invite professionals and students to discuss sustainability and adaptation in cities with historical value. 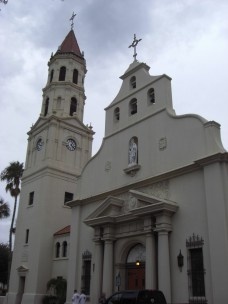 Founded in 1565, St. Augustine is the oldest continuously occupied city in North America. The conference also displays itself as commemoration of the 450th anniversary of the town’s foundation by Don Pedro Menendez de Aviles. The activities include a series of walkthroughs around the city evoking historical settlements as sustainable examples from the past for the future construction and planning of post-moderns cities. The submission Process for paper proposals includes the delivery of abstract of 500 words tops, such as a short author’s biography, also with the maximum length of 500 words. All files must be submitted in pdf. extension to this e-mail. Registrations for the conference will begin around early February. Keep up with the process on the event’s website.